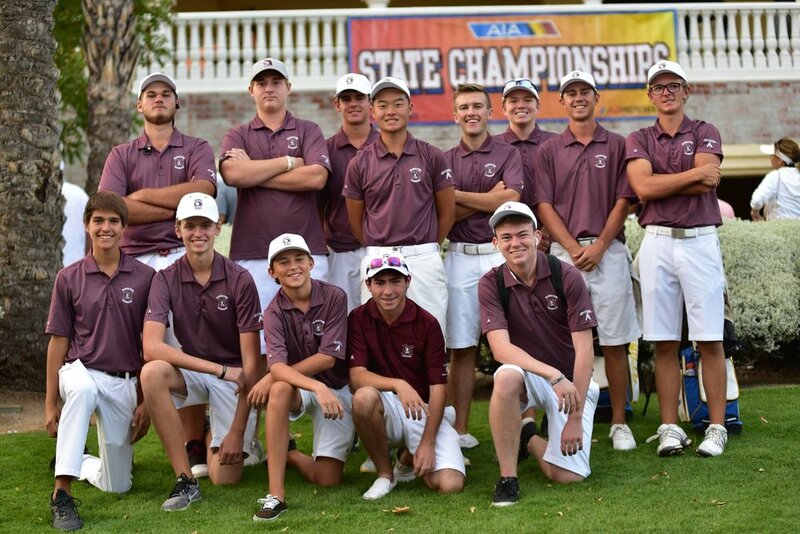 The Hamilton High School Boys Golf Team played an inspiring round two of the 2018 state tournament at Omni Tucson National today. 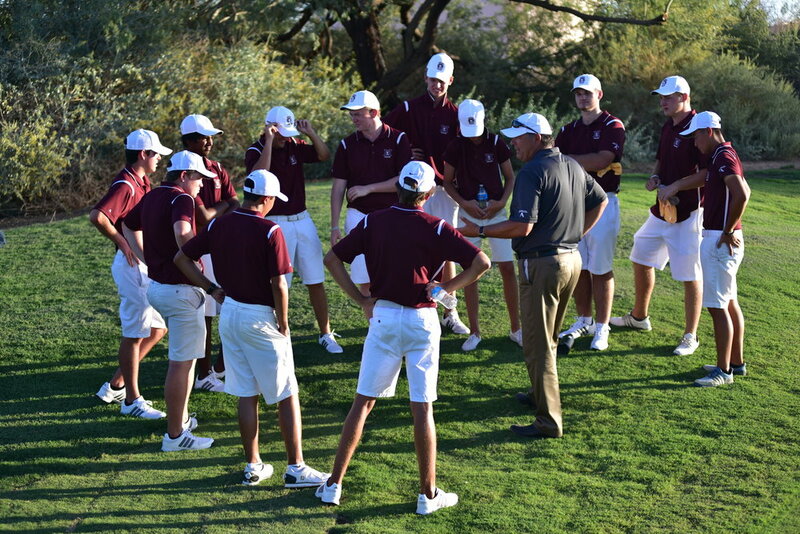 At one point the team came within one shot of eventual winner Brophy Prep, only to finish 8 shots back at the end. This is the 2nd runner up team finish at state in the last four years. Senior Alexander Yu shot a team low round of 68 to finish in a tie for 10th place with teammate freshman Mahanth Chirravuri (69-73=142). Both earned 1st team All-State honors for their outstanding play! Senior Caden Rice (72-73=145) and sophomore Johnny Walker (71-74=145) placed in a tie for 15th amongst individuals. Senior Alejandro De Zavala (73-82=155) came in solo 45th place in the field. Senior Alexander Yu shot a team low round of 68 to finish in a tie for 10th place with teammate freshman Mahanth Chirravuri (69-73=142). Both earned Arizona 1st team All-State honors for their outstanding play! 2nd Place: Mahanth Chirravuri -6 (70/68), Alexander Yu +1 (77/68), Johnny Walker +5 (74/75), Brandon Hill +14 (78/80) & Kanoah Cunningham +22 (77/89). HHS sophomore Johnny Walker was the match medalist with an outstanding round of 33 (-3)! All five HHS starters finished in the top 6 individually. Here are the HHS individual results: Johnny Walker 33, Mahanth Chirravuri 35, Alexander Yu 37, Caden Rice 37, Noah Bates 42. 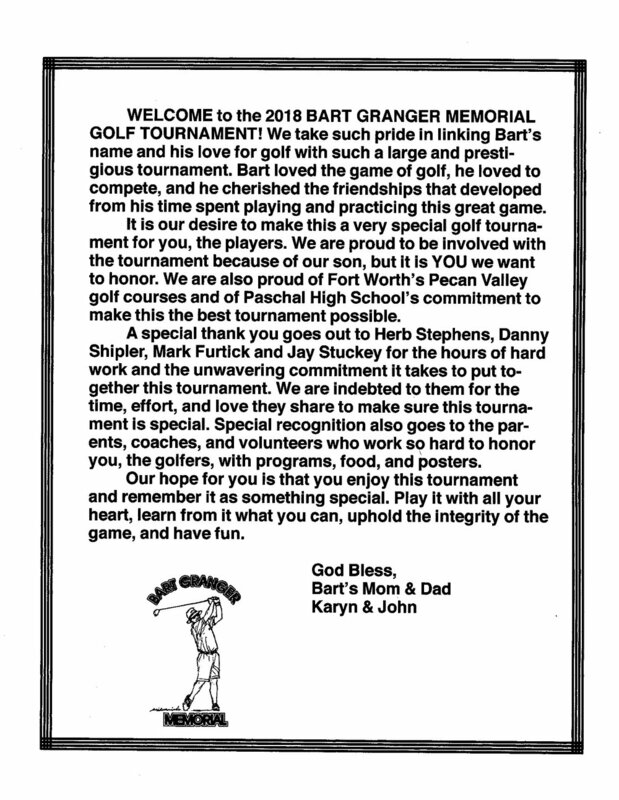 Next up for the Huskies is a trip to Fort Worth, Texas next week to play in the prestigious Bart Granger Memorial, an event that includes all of the best high school golf teams in Texas. Coach Kanner & parent volunteers at ANHSGI 2018. 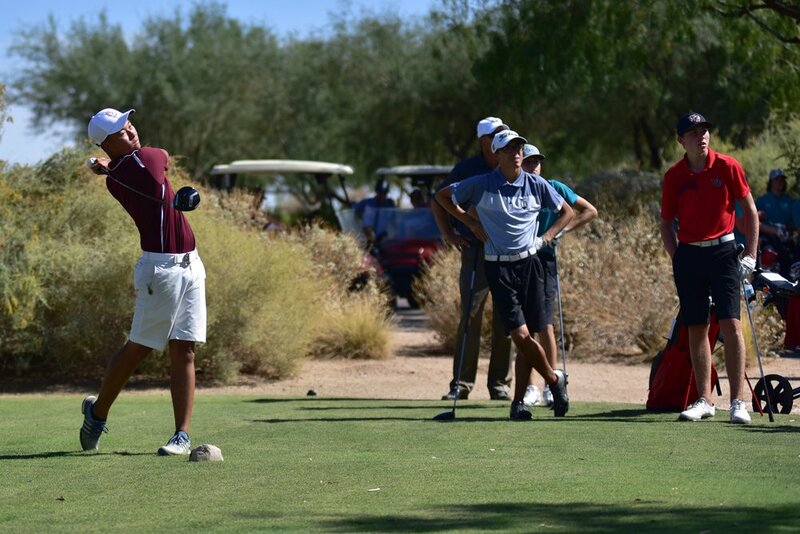 The HHS Boys Golf team continued its winning ways with an impressive match win against Williams Field, Highland and Higley HS at Whirlwind Golf Club in Chandler today. 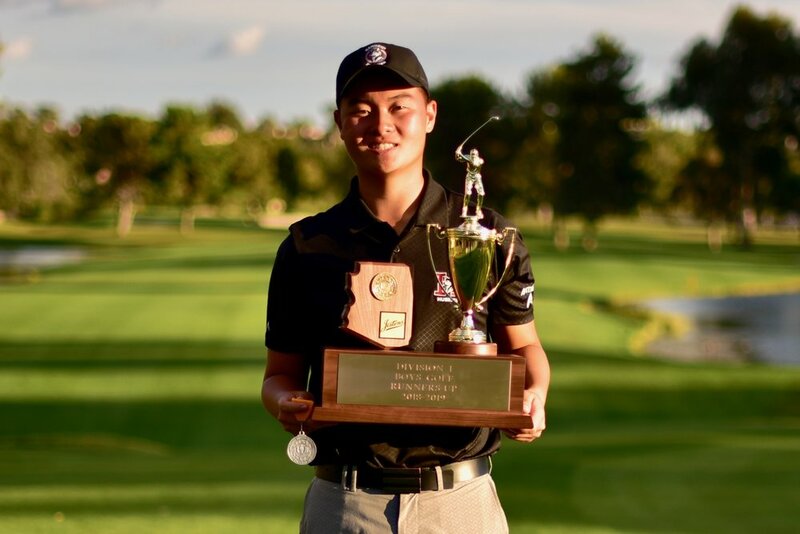 Senior Alexander Yu set a new school 9-hole Scoring Record with an incredible round of 31 (-5) that included 3 birdies and an eagle! Sophomore Johnny Walker also turned in an under par round of 35 and both senior Caden Rice and freshman Mahanth Chiravurri shot one over par 37's. Senior Kanoah Cunningham shot a 39 on the difficult Cattail Course. Senior Alexander Yu's record setting scorecard from today's 9-hole match. 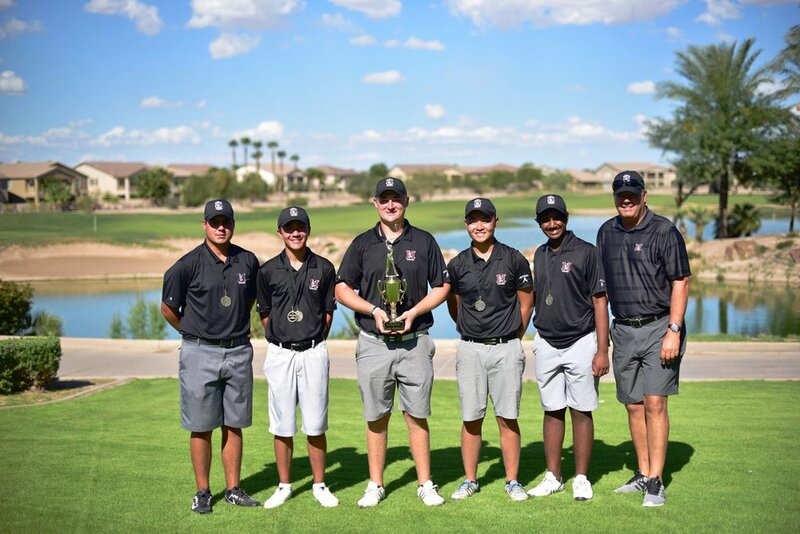 The HHS Boys Golf Team finished in 2nd place at the Brophy Invitational this weekend at Grayhawk Golf Club in Scottsdale. 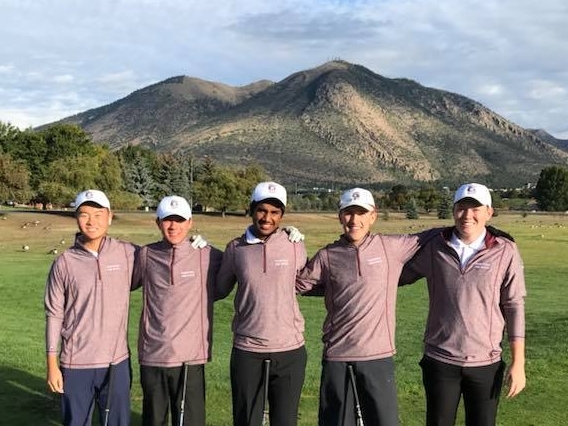 After a slow start in round one, the team roared back on Saturday’s second round and passed five teams just to fall one shot short of 1st place Arcadia HS. The team was led by sophomore Johnny Walker who finished in the top 10 individually with rounds of 74-72. Senior Alexander Yu who fired a second round score of 70 (-2) that included six birdies and freshman Mahanth Chirravuri 73-76 both tied for 11th place. Seniors Brandon Hill (78-84) and Caden Rice (86-79) contributed to the team performance. Congratulations to 2018-2019 Team Captains Alexander Yu and Ethan Adam! Alexander is a 4 year letterman (Senior) and has served as a co Captain during the 2017-2018 season. Ethan is a 3 year letterman (Junior). Good luck this season gentlemen! GO Huskies! 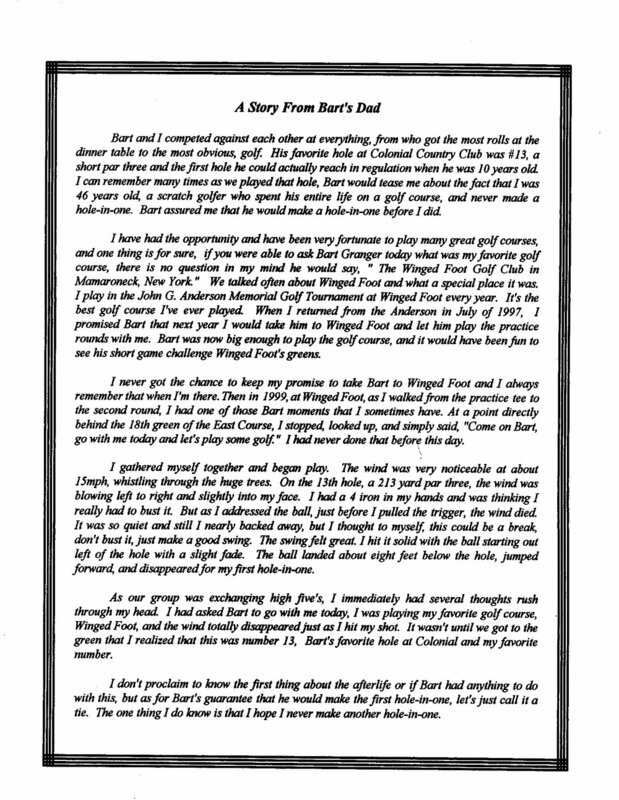 The tryout process will consist of a 36 hole qualifying tournament. Students earn their spot on the team based on these results. 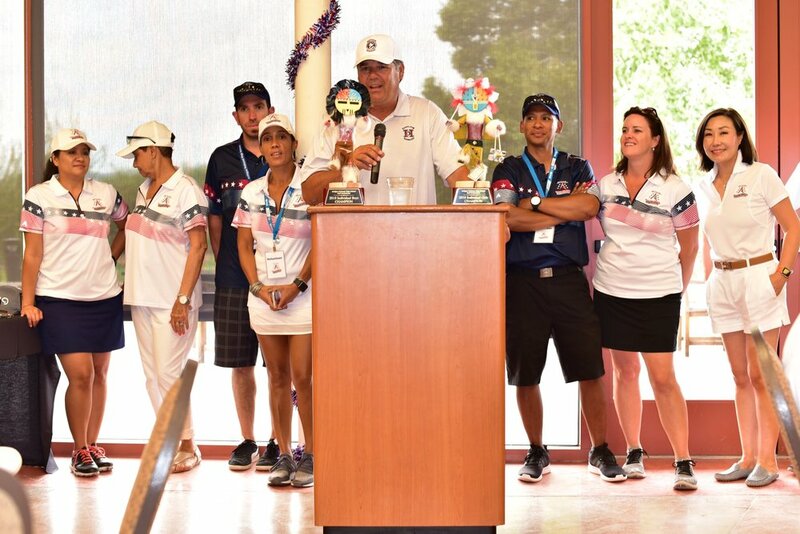 The number of spots available will be released prior to the start of tournament play. Team supporting the starting 5 at AZ High School State Championship: Ryan Sanchez (Sr), Nick Hedman (Sr.), Alexander Yu (Jr.), Ethan Adam (So,) & Dalton Marsh (So.). Result: 3rd Place. The HHS Boys Golf Team won the 2017 Chandler City Shootout today at Bear Creek GC with a 30 storke victory! Sophomore Ethan Adam won the individual title with impressive rounds of 70-68=138 (-4). Ethan birdied five of his last six holes today to get the win! Four Huskies finished in the top 10. Senior Ryan Sanchez 72-69=141 (2nd) senior Nick Hedman 72-72=144 (6th) and junior Alexander 74-74=148 (9th). Sophomore Dalton Marsh 77-74=151 (15th) rounded out the lineup. 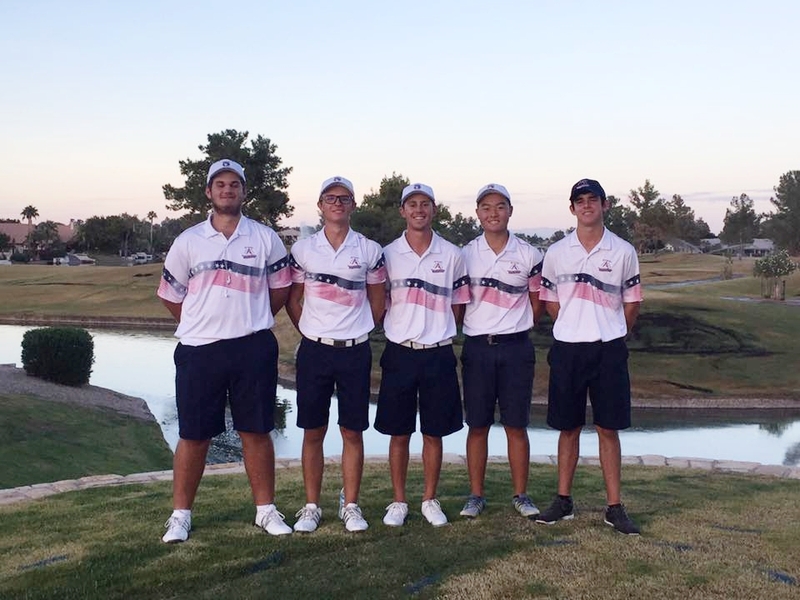 The Huskies finished its regular season match schedule today with a victory over Perry and Queen Creek at Ocotillo GC. Junior Alexander Yu tied a school record for low 9-hole scoring with an impressive 31 (-4) to lead the team.